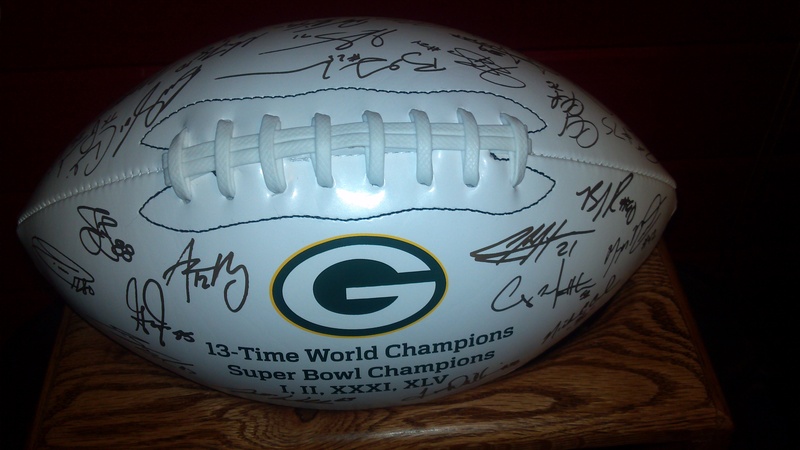 The Green Demons have been fortunate to receive a donation of this year’s Green Bay Packer Autographed Football, Limited Edition 13- Time World Champions / Superbowl Champions I, II, XXXI, XLV. We are raffling this football and tickets are $2.00 each or 3 for $5.00. Be sure to get your tickets from your favorite Green Demon wrestler. The Drawing will be held at our Home Tournament on January 28th, 2012 at AF Highschool. You can’t win if you don’t play! Think of what a fantastic prize this would be this year, with the Pack in the Playoffs!!!!!!!!!!! ← Wrestling Season 2011-2012 is upon us!